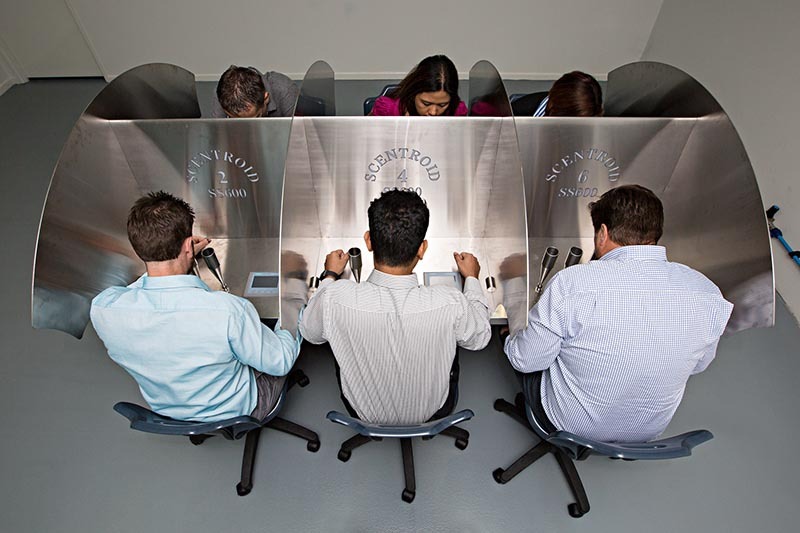 Faster, Better, Stronger – Air Environment does odour testing in its own state-of-the-art olfactometry laboratory. Our high-performance odour testing laboratory is the most advanced and efficient odour testing facility in Australia. 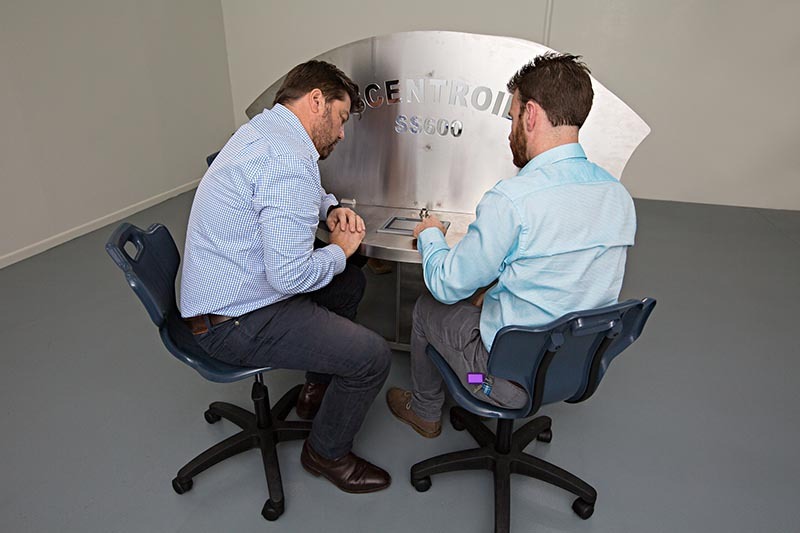 Built around the state-of-the-art Scentroid SS600 Six-Panellist Station Automated Olfactometer, it is operated by one of Australia’s most experienced and respected team of odour experts – making Air Environment the first choice for odour laboratory services in Australia. We provide our clients with more data, faster results, and better accuracy and precision due to the unparalleled olfactometer performance and efficiency of the SS600, which can test more samples per day using a six-person odour panel with simultaneous presentations and outstanding odour decontamination performance. Faster sample testing. Six panellists simultaneously, no interference from contamination, fully automated timing controls and results calculation all provide for fast, smooth odour test panels. Better performance. More samples and more assessors mean more data and greater accuracy and precision. This provides a better understanding of source odour emissions as well as the characterisation of odour impacts. Stronger impact assessments. The end results are stronger, more robust, more comprehensive odour dispersion modelling studies and impact assessments. Our lab perfectly complements the comprehensive range of odour impact assessment services we offer, including odour sampling, field ambient odour intensity assessment, field olfactometry, dispersion modelling and odour management. Inefficiency and high costs in other odour laboratories have often meant odour impact assessments are based on small, unrepresentative sample sizes – often with only one or two samples per source. The number of data points used to assess odour emissions from a source or entire facility has traditionally been restricted by the capacity of the lab and the cost of testing. This has often led to a lack of understanding of source emission variability, either based on emissions over time or across a large area source like a pond or stockpile. The efficiency of the SS600 Olfactometer allows us to test significantly more samples per session than any other laboratory in Australia and gives us greater control over costs – allowing us to provide great value to our clients. Our capacity advantage and lower costs allow us to test odour samples for more than just the standard concentration analysis but also important characteristics such as intensity and hedonic tone (i.e. an odour’s pleasantness or unpleasantness). Determining the relationships between the odour’s concentration above threshold and its intensity and hedonic tone provides for the characterisation and assessment of odours from different sources. Odours are not all the same and should not be assessed as such.